Hi dolls :) I hope you are all having a great day! Today, I have a haul for you all. I'm really excited for this haul because as the title suggests, all of the products I gotare Asian beauty products. face cream. I've always been fond of Asian skin care products, so I decided to go to a local Asian mall to check out what they have to offer. So here goes all the lovely products I got. 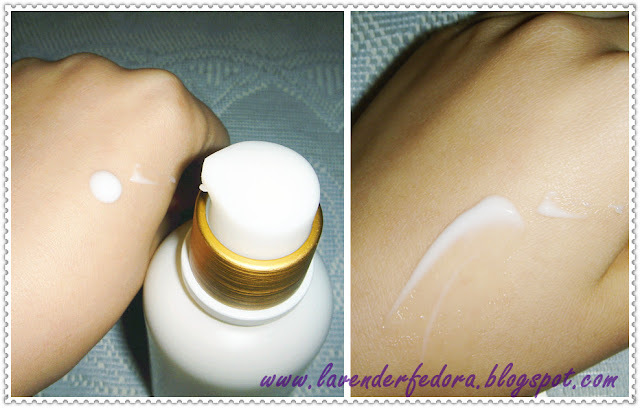 First of, I got this The Face Shop Arsainte Eco-therapy extreme moisture daily moisturizer. We have a the face shop store in the mall, it was just opened recently, and I wasreally excited to check it out. The store is really girly and bright, they have a tester for every product which is wonderful, the sales lady there is very helpful, too. I asked her what is good for dry, sensitive skin. She recommended me several products, I liked how this felt on my skin the best. It smells really fresh and lovely, to me, it smellslike roses. It's only $19 for 125ml, steal for such a lovely product. It looks a lot more expensive than that and it's packaged in a glass bottle. I'm so glad I picked this up, I have been using this for 4 days now, it got rid of my dy paches completely. I love it! do a comparison post between the 2-step and the regular my beauty diary mask. Also, my grandparents were in Japan visiting my aunt's family during the summer and I asked her to get me something there. I go the dollywink liquid liner, you probably already know this, but it's my holy grail eyeliner, it's in the shape of a pen, it's really easy to apply and it give a very fine line. The best part is that it stays put all day and it's really black. I love this! Also, I read from a lovely Taiwanese blogger about this Avence lash serum. My lashes are natually pretty long but they're thin and fragile, ever since I started wearing mascara, it falls really easily. So I decided to give this a try. I will definitely post a before after post on this product after maybe a month or so. Stay tuned! Last but least, I asked my aunt to get me a good sunscreen that doesn't irritate my dry skin. I've tried many North Amerian sunscreen but they all made my skin super red and itchy, she bought me this Biore one. I heard that this changes to a watery form as soon it's applied to your skin and it's light weight. I'm kinda anxious to try this out, hopefully, my skin will like this sunscreen.